Azzam al-Ahmed, a senior member of the ruling Fatah movement, said that Abbas and Fayyad would meet on Thursday, after the president returned from Qatar, to discuss Fayyad’s possible resignation. But their discussion never happened, and it remains unclear when the two might meet. “The meeting planned for Thursday evening has been postponed until further notice,” a Palestinian source told the AFP news agency, without giving a reason. 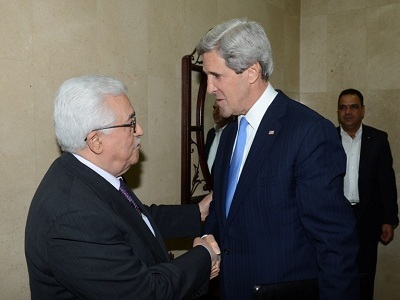 John Kerry, the US secretary of state, is trying to broker a new round of talks between Israel and the Palestinians, and diplomats said Fayyad’s resignation would complicate that effort. 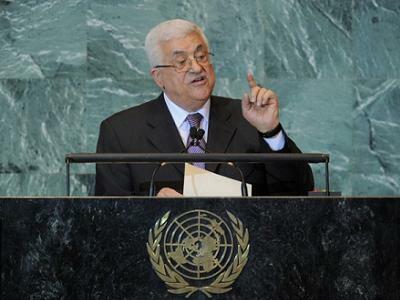 “Pressure is being put on Abbas to sit on this resignation offer for at least two months to see what comes of the US initiative,” said a senior European diplomat, who declined to be named because of the sensitivity of the issue, according to Reuters. Fayyad’s reputation among Palestinians is more mixed; a growing number of people are angry about his stewardship of the stagnant economy. The Palestinian Authority is in a serious financial crisis, partly because hundreds of millions of dollars in promised foreign aid have not materialized. The crisis over the finance minister “was the reason for Fayyad’s resignation,” Ahmed said. “Fayyad will have to decide today whether to keep Qassis in his post, or to resign as head of the government,” he added. Last week, the Fatah Revolutionary Council for the first time openly criticised Fayyad’s government over its economic policy. “The policies of the current Palestinian government are improvised and confused in many issues of finance and the economy,” it said.